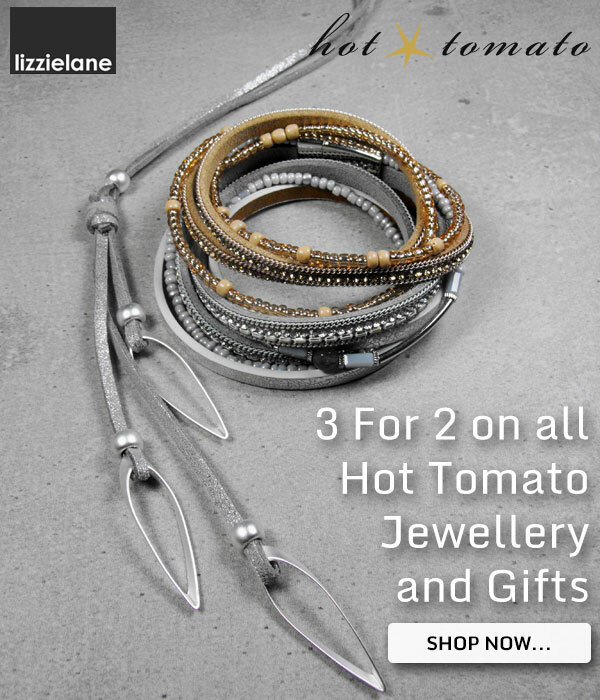 Until midnight Friday 11th August, we’re running a 3 for 2 promotion on all of our Hot Tomato Jewellery & Gifts collection. Simply choose any 3 items and we’ll give you the cheapest one for Free! Since 2007, Hot Tomato have been creating beautiful, go-to pieces of jewellery and accessories, having recently introduced their new collections of scarves and bags. 3 for 2 Hot Tomato Offer applies to cheapest item in your basket and is valid until midnight Friday 11th August 2017. Offer is valid only whilst stocks last, and only applies to Hot Tomato products. E&OE. The enchanting Danon Jewellery Honey Bee Collection is here, filled with delicately textured and hand crafted pieces inspired by nature, to include gold and silver plated honey bee necklaces, bracelet, bangles and earrings. If you’re on the prowl for amazing deals on stunning jewellery, gifts or accessories then now is your opportunity to pounce, because we’ve added our Final Reductions to our fabulous End of Season Sale! 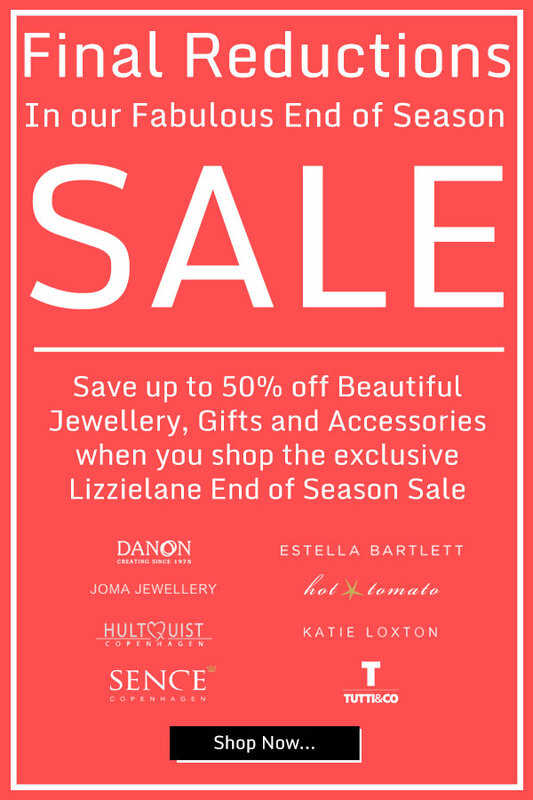 With up to 50% off selected items from Danon, Estella Bartlett, Forever Joma, Hot Tomato, Hultquist, Joma Jewellery, Katie Loxton, Sence and Tutti & Co there’s something for everyone. So get it now – or regret it later…Don’t say we didn’t warn you! 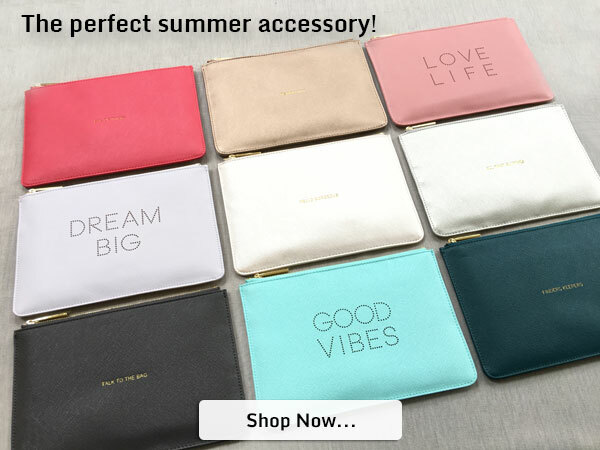 Katie Loxton is the self titled accessories brand from the same creators of Joma Jewellery and just like Joma, their philosophy is to offer an affordable collection of fun, sentimental and luxurious products. Whether dining out or popping to the shops, they’re ideal as a favourite clutch bag or perfect for organising your make-up and jewellery. Shop with Lizzielane this weekend and we’ll give you this Estella Bartlett Bracelet for Free! 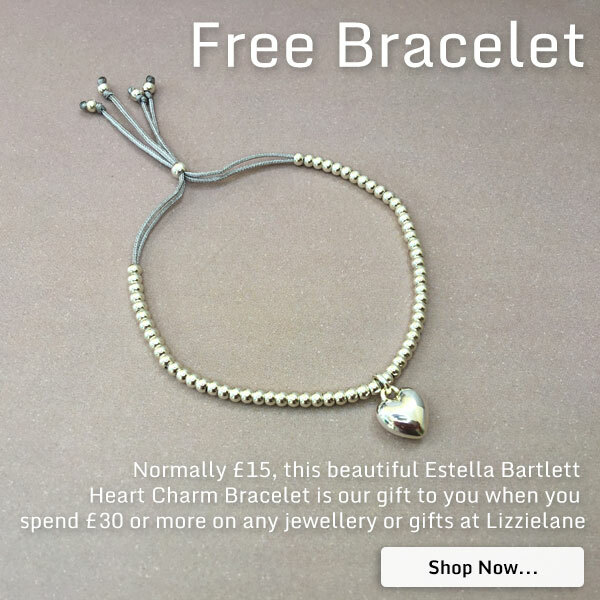 Simply spend £30 or more with Lizzielane and this beautiful Estella Bartlett Heart Charm Bracelet is our gift to you! Normally £15, this bracelet is lovingly crafted from silver grey cord and features silver plated beads and a gorgeous love heart charm. Our Free Bracelet offer is valid whilst stocks last, so be quick! 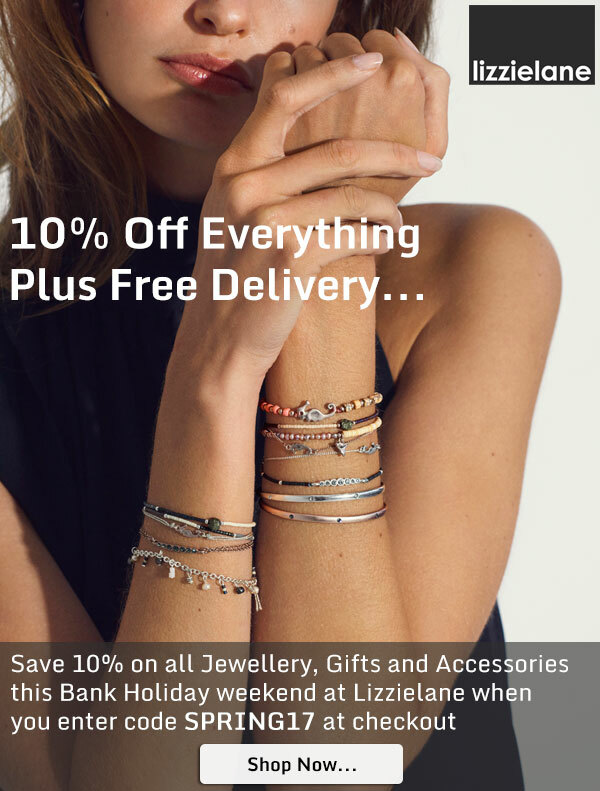 For Spring Bank Holiday weekend we’re giving you 10% off everything – site wide! To claim your fabulous discount, all you need to do once you’ve finished shopping, is simply enter the coupon code SPRING17 where prompted in either the shopping cart or on the checkout page and as long as you’ve spent £20 or more, we’ll apply the discount to all of the items in your basket. So whether it’s a special gift for someone else or something special just for you, be quick because this deal ends midnight on 29th May 2017. 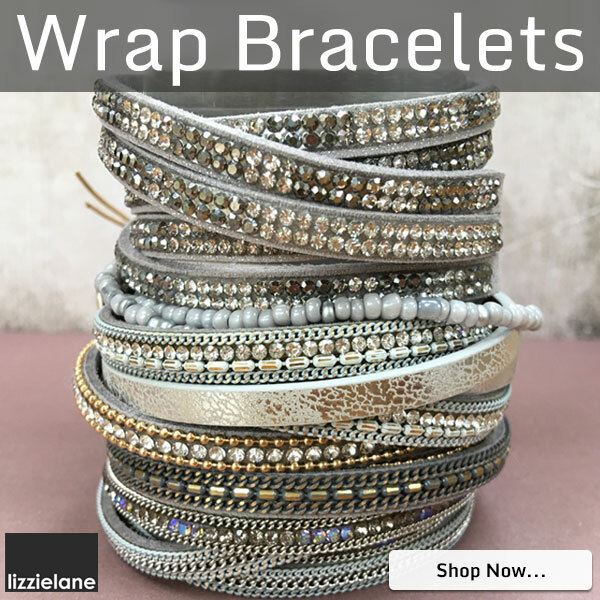 Stock up on one or more of these fabulous wrap bracelets ASAP and get Summer ready now! Available in a choice of colours and soft textures, as well as using different materials from leather to beads and crystals, Wrap Bracelets are 2017‘s most “sizzling” jewellery accessory and are the easiest way to add instant hit of style and glamour to any of your outfits. We are excited to announce that our BRAND NEW Katie Loxton Collection has arrived at Lizzielane! 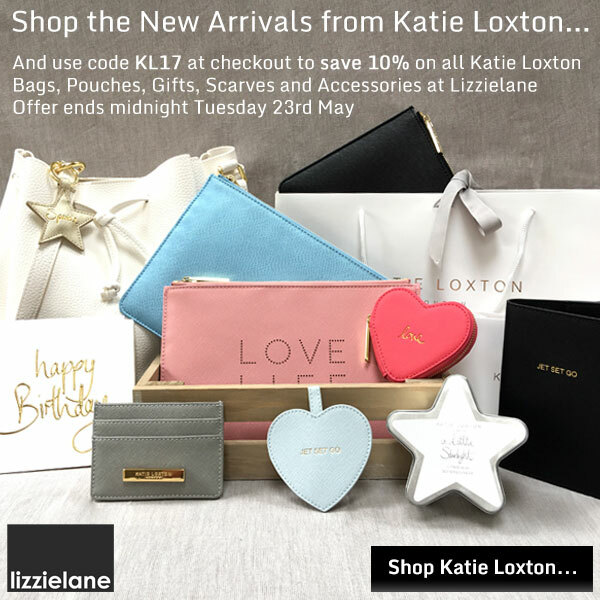 Shop any of our gorgeous Katie Loxton Collection this weekend and when you use code KL17 at check out this weekend, we’ll give you 10% off all Katie Loxton items! This 10% Discount Code Offer is valid until midnight Tuesday 23rd May 2017. Prices valid whilst stocks last. E & OE. Cannot be used in conjunction with any other offer or discount. Other T&Cs apply visit https://www.lizzielane.com/discount-codes-terms-conditions/ for details. 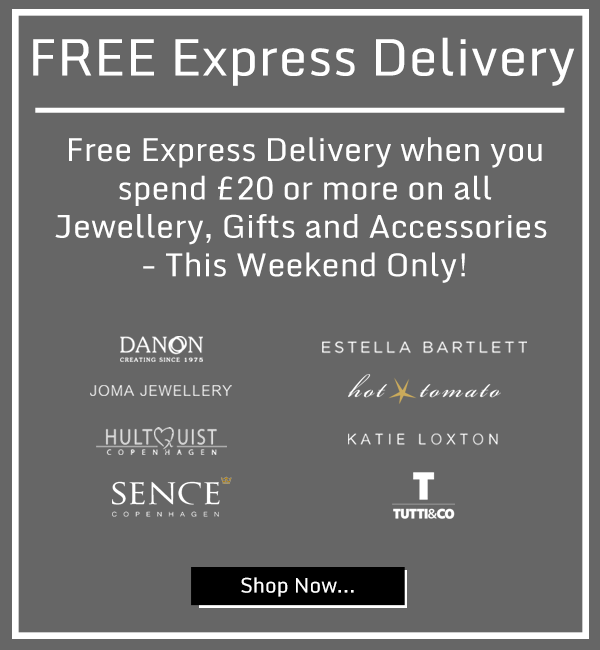 Save 15% On All Sence Copenhagen Jewellery With Free UK Delivery – This Weekend Only! 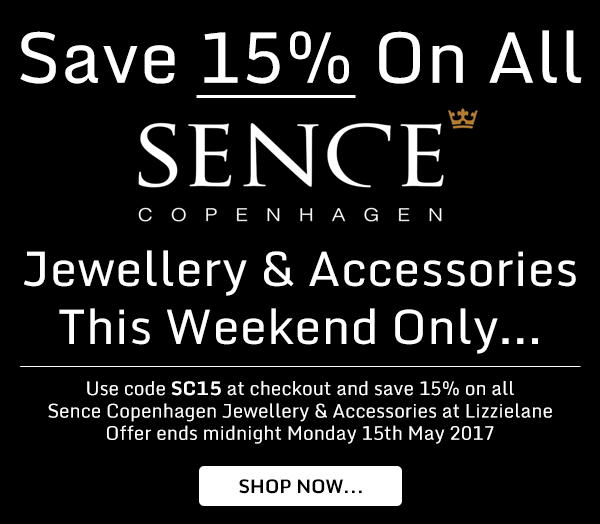 15% Off Sence Copenhagen Offer is valid until midnight Monday 15th May 2017. Prices valid whilst stocks last. E & OE. Cannot be used in conjunction with any other offer or discount.